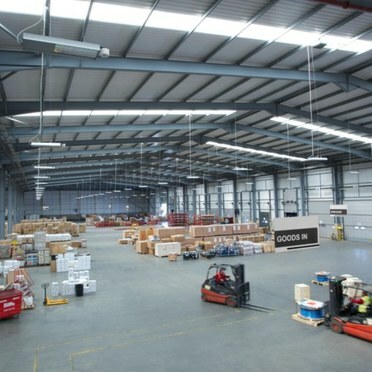 Global logistics company to save £133 000 per year following LED lighting refurbishment by Thorn Lighting. The global logistics company is one of the world’s leading nonasset- based supply chain management companies. It designs and implements industry-leading solutions in both freight management and contract logistics. The company has 42 000 employees and a global network covering over 950 sites across more than 170 countries. 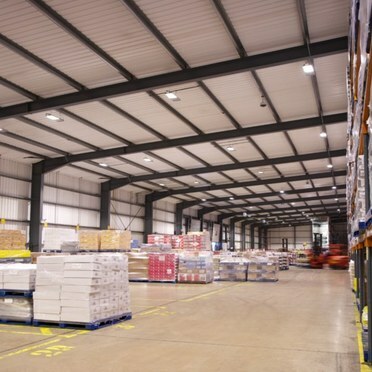 Thorn Lighting won a competitive tender to refurbish the existing lighting at two of the company’s warehouses, both in the UK. The tender was won on the basis of Thorn’s comprehensive and high performance lighting solution. 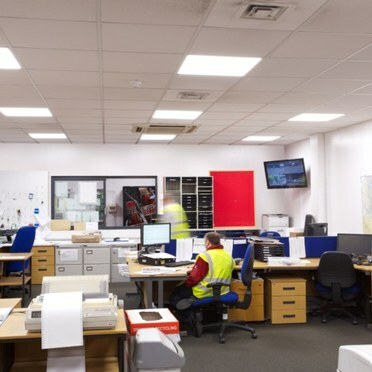 Thorn fully met the requirements of this turnkey refurbishment project, including the provision of LED lighting, installation, commissioning and project management. 1. 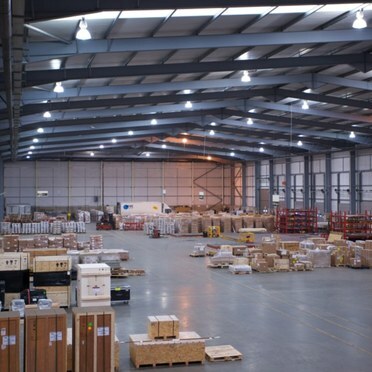 HiPak Pro LED – Installed in the two warehouses, HiPak Pro LED is a robust, low maintenance and energy saving industrial LED high bay luminaire. Offering an ideal alternative to traditional 400W lighting, it benefits from dedicated individual LED optics, including rack and wide, for precise light control. 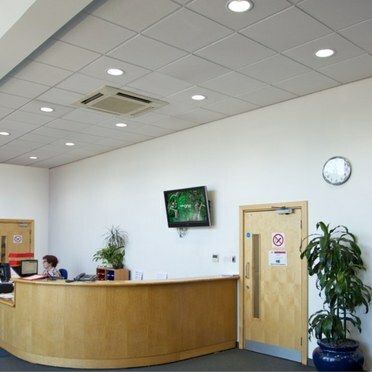 HiPak Pro LED is also DALI dimmable and fitted with occupancy and daylight sensors to maximise energy savings. 2. Omega LED - Installed in the warehouse canteen, Omega LED uses half the wattage of traditional luminaires. An easy retrofit option, it benefits from flexible mounting options and offers good uniformity. 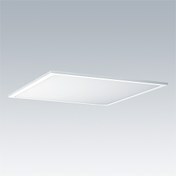 Omega LED also features DALI dimming to further increase energy savings. 3. 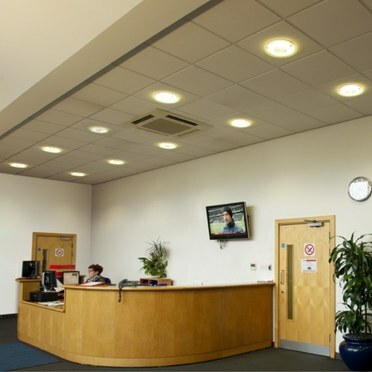 College LED - Installed in the warehouse office, College LED offers high efficiency and low glare. It also features optics that improve vertical and cylindrical illuminance to aid communication. The LED lighting package provided by Thorn has substantially reduced the company’s energy and CO 2 consumption. Aside from the use of efficient LED, dimming and intelligent occupancy and daylight controls have played a key role in this reduction. 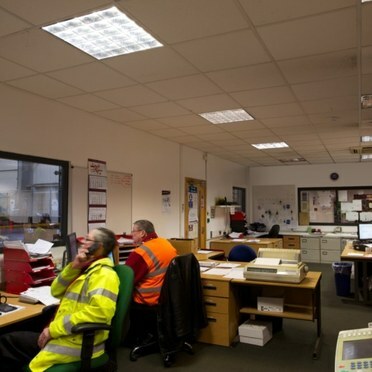 Quality of light has also been improved to provide a more comfortable working environment. The total energy consumption at warehouse 1 has been reduced by 65,5%. Even more, the energy consumption at warehouse 2 has been reduced by 90,1%. 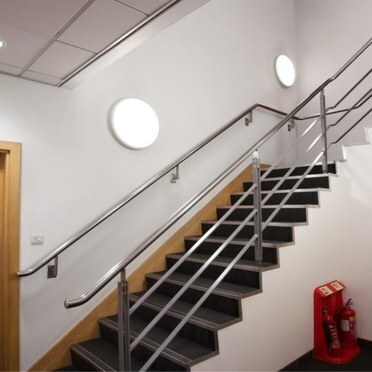 The new lighting will provide the company with a combined annual saving of £133 000. Lamp efficacy is important because the amount of light emitted from a light source (in lumens) compared to the amount of power used by the light source to produce it (in Watts) is key for energy efficiency. All of the luminaires specified use advanced LED technology and therefore have a high lamp efficacy and low energy consumption. Daylight was available in warehouse 1. 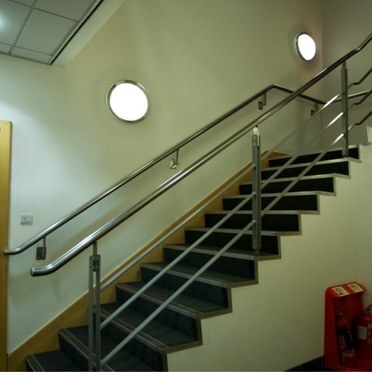 Even without the lights being on light levels would still be over the 200 lux specified. A daylight sensor has therefore enabled the lights in the warehouse to be off most of the day during the summer. Using HiPak Pro LED in conjunction with presence sensor controls ensures lighting is used according to occupancy. This was particularly important because over half the warehouse space is dedicated to storage in racks and therefore has little activity. Click the link to download Case Study in PDF format.